Shipping Weight: 1000 units at 24.2 lbs. Let your customers show their alliance to your brand by giving them a little something to take home with them following your event. 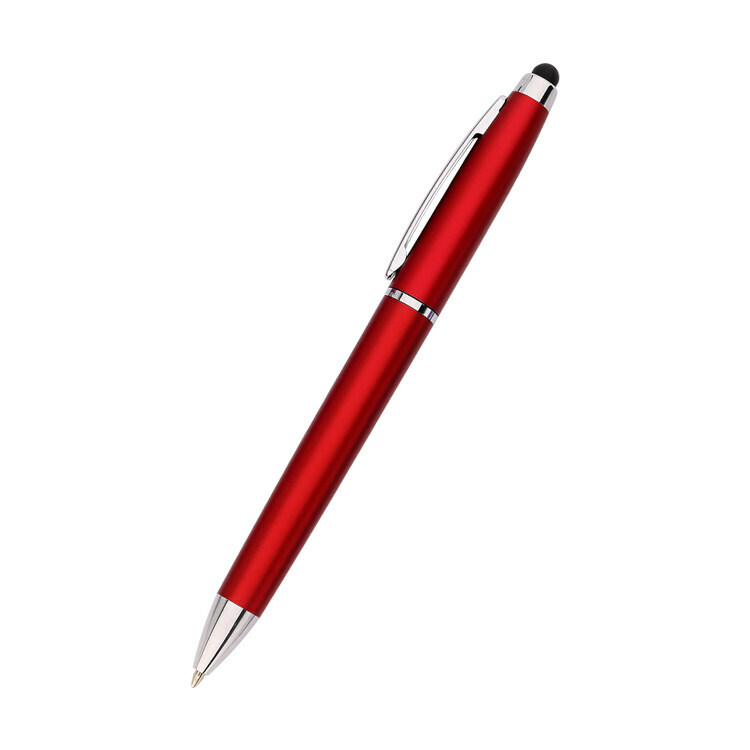 This Alliance Pen and Stylus from JAVLEINPEN.COM will make everyone feel like a million bucks and that you genuinely care about them! 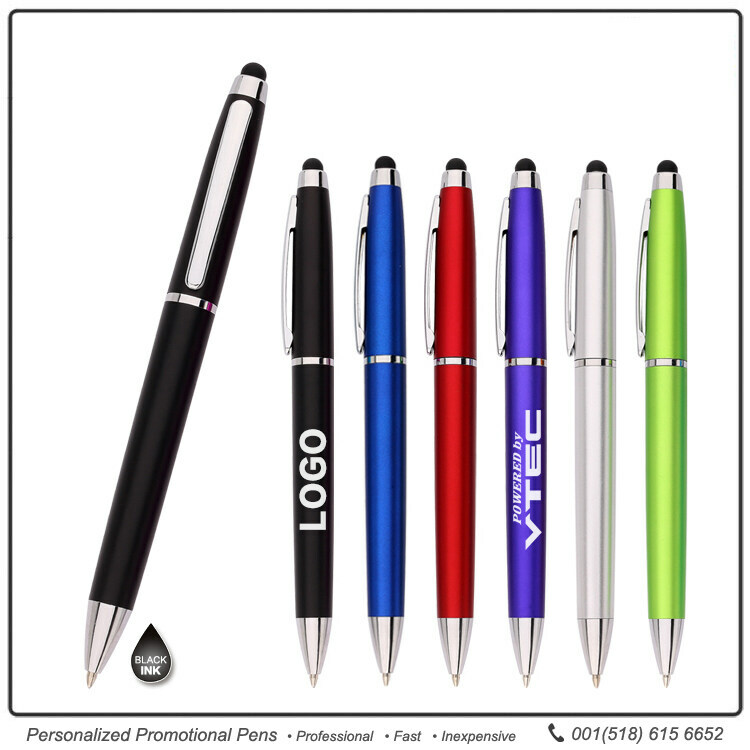 To get the customized pen to write all you have to do is give them a quick twist and away you go! 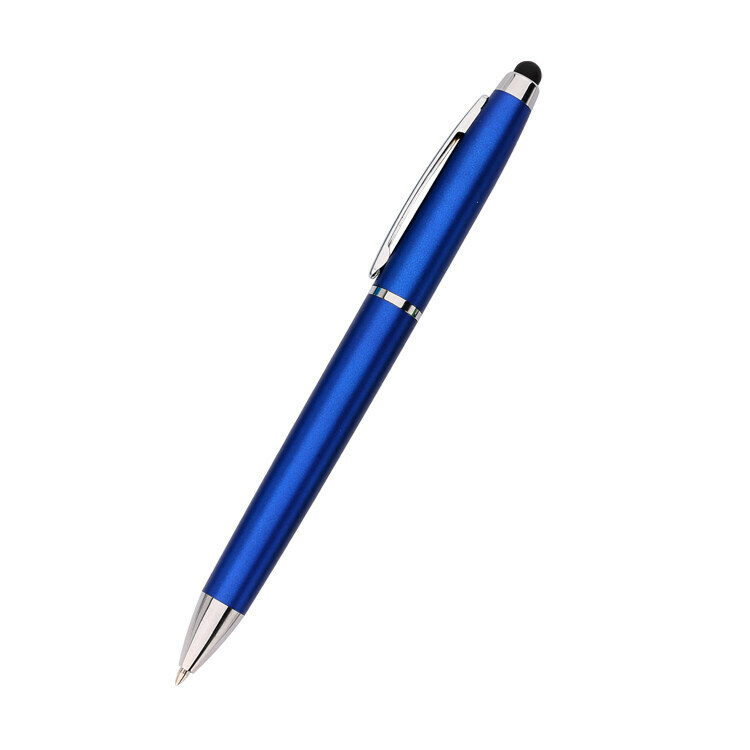 The smooth writing action will make them a favorite for customers to reach for and use every single day. The black stylus tip at the other end of these promotional pens is perfect for keeping your smartphone free from smudges and fingerprints. When we tested the Alliance Pen and Stylus, we noticed that the twist-action mechanism works with an audible and satisfying "click" to extend a pen tip that writes with a smooth, dark black line. 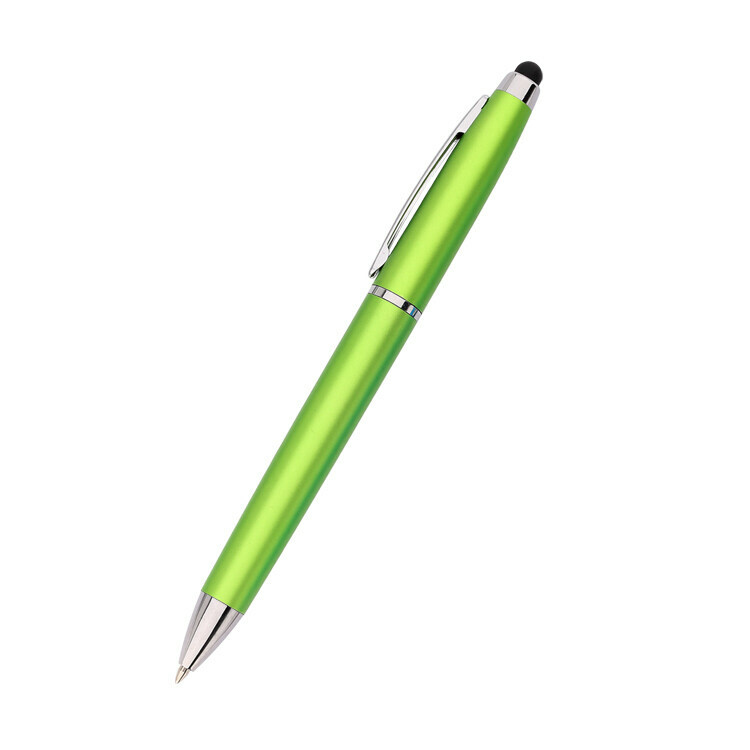 The metal clip proved stiff and resistant, and the soft rubber stylus tip works well for both swiping and tapping. Our sales team members are here and ready to help you tackle ordering these imprinted styluses for your upcoming event! Call today and they'll make sure you receive our GUARANTEED lowest price on your purchase. This product is for a church, they hand them out to their parishioners. I was very happy with the quality of the pens, especially the cost. Great job Javelinpen,The pens will be used as promotional give-aways for a non-profit. Very excited, pens turned out GREAT! Would recommend Javelinpen.com to all my business friends. !!!!!!!! It's what we were looking for at a reasonable price. Definately the best quality of such a product we have every found. The pens we order are great! Our customers love them!! We ordered this pen in silver as a fairly inexpensive stylus pen to give away at job fairs. The pen writes well, is comfortable to hold and looks nice. The stylus also works well. 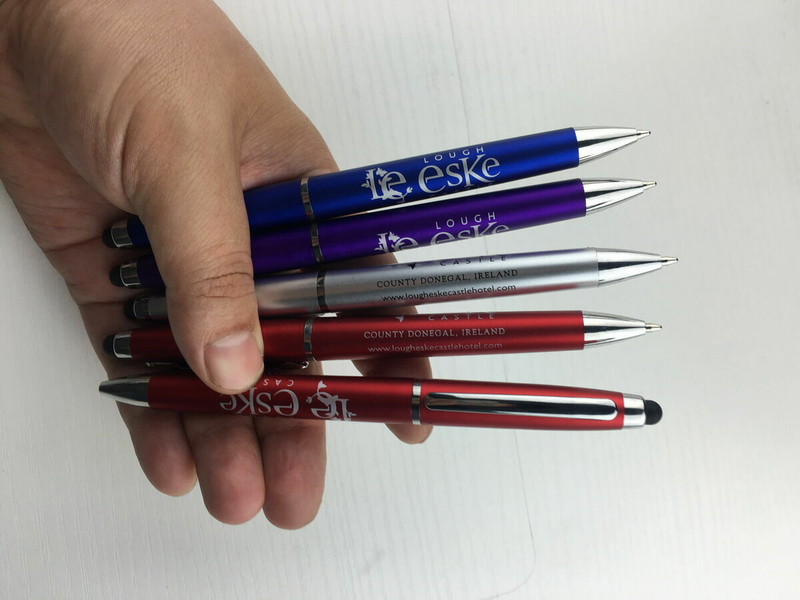 Our customers love these pens. They write great and the color options are fantastic. Loved it! Visitors at my booth could not stop taking them. Got lots of great feedback on the color.